NBC 6's Nathalia Ortiz reports on Broward County's ongoing recount issues. Amid the ongoing hand recount for Florida's U.S. Senate and commissioner of agriculture contests, Broward County Supervisor of Elections Brenda Snipes said her office has misplaced more than 2,000 ballots. 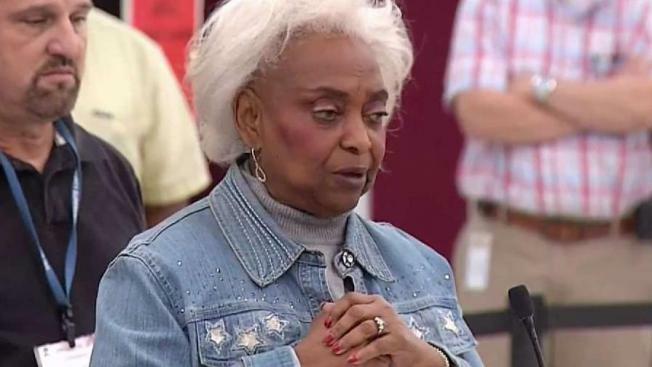 Snipes said the 2,040 ballots "are in the building" – referring to the Broward County Supervisor of Elections Office in Lauderhill. The ballots were discovered missing after there was a discrepancy between the recount returns and the original unofficial returns. Snipes said some members of her team did not have as much training as others and possibly misplaced the ballots in the wrong tray during the machine recount. Snipes added that the vote totals and the number of people who participated in the election matched with the original unofficial returns. Snipes has been under heavy scrutiny over the way her office has handled the 2018 election and subsequent recount. Broward County's machine recount results were not used in a final tally because they were turned in two minutes after the 3 p.m. Thursday deadline. A hand recount is ongoing for the U.S. Senate and Florida commissioner of agriculture contests. More than eight million voters cast ballots in Florida. Outgoing Florida Gov. Rick Scott is leading incumbent Democratic U.S. Sen. Bill Nelson by about 12,600 votes. Florida's 67 counties have until noon on Sunday to turn in the results for the hand recount to the Florida Department of State.